Wall decals for the nursery from Etsy - our top picks! 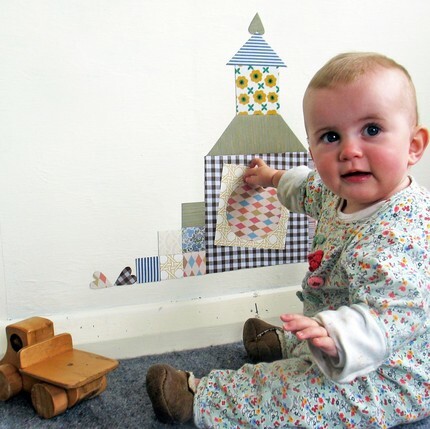 Wall decals for the nursery from Etsy – our top picks! 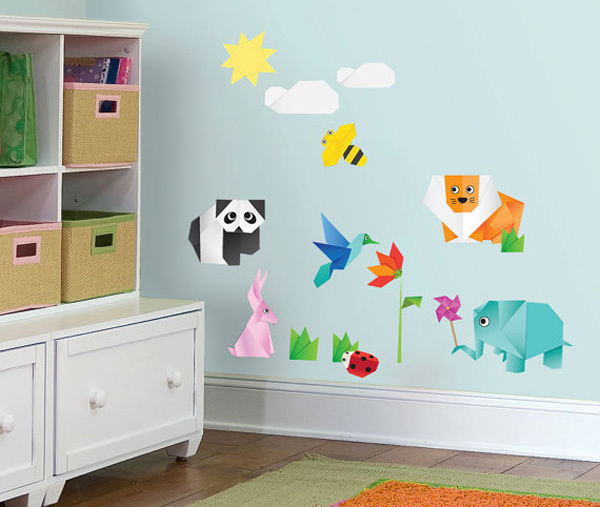 If you have some big, blank nursery walls to fill, chances are you’ll love a good decal as much as we do. They provide an instant and quick focal point for a room, they’re easy to remove, and they’re increasingly affordable too! Best of all, there are so many available on Etsy, you’re sure to find what you’re looking for. Come and have a look at some of the stunners we’ve come across. Do you love a bit of geometrical art? Those amazing animal decals up there from Boys & Girls will have you smiling. As expected, our Show us your Nursery posts are a goldmine when it comes to tracking down fabulous Etsy finds. 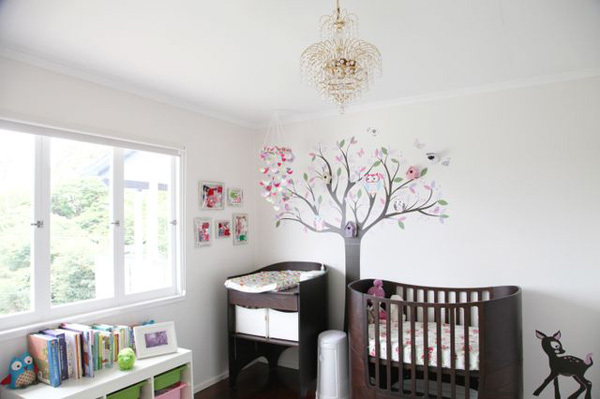 This gorgeous tree decal (at top) from Wall Art Design popped up in Scarlett’s nursery. And in Julian’s steampunk-inspired bedroom we came across this funky cog decal from In an Instant Art. 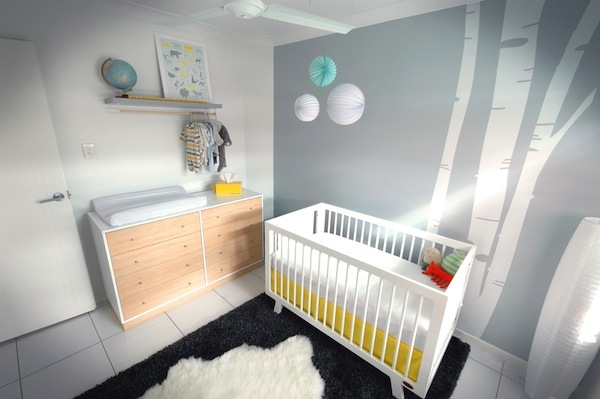 These serene and majestic birch trees from Bubba and Doodle were the decal of choice in Xavier’s nursery. Then if you’ve ever wondered, “Where can I buy a fabulous flamingo decal?” – we know! 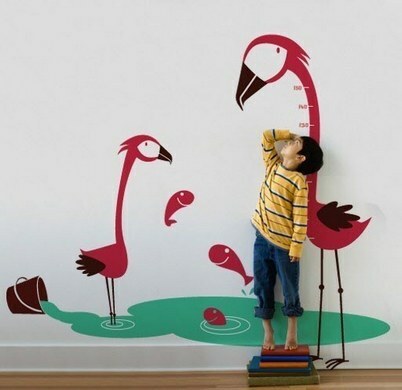 From growth charts to photo-realistic flamingoes almost flapping off the wall, you can find them at Planet Wall Art, Solana Graphic Studios and Nouwall – along with many, many other stickers guaranteed to make your walls pop. Now, to be fair, I must admit that this stylish new twist on kitsch 1970s flying ducks and horses is not really a decal – they’re made from wallpaper. They’re from Delilah Devine and just too gorgeous not to include! 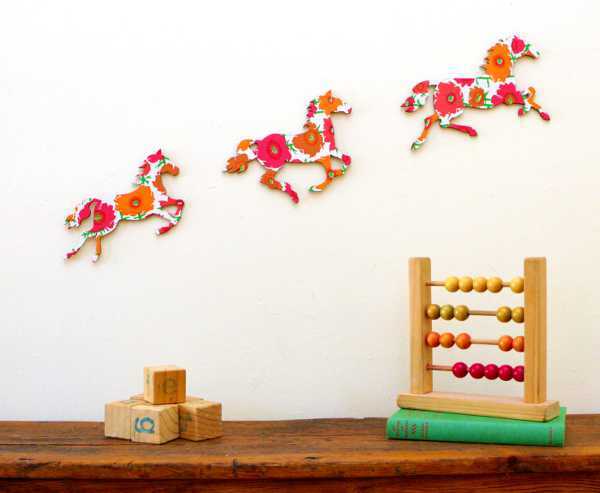 To finish us off, how about these amazing magnetic wallscapes from Tinch Design Studio? Not only are they decals in a range of materials like fabric and vinyl, but they are magnetic too! That’s hours of entertainment for any child in arm’s reach (and dare I say for their parents as well). Tinch Design Studio (formerly on Etsy as hjrdDesign)has a great range of non-magnetic decals as well, if you prefer to have all the bits of your decals stay stuck.